FOIA Friday: The October 25, 2017 UFO Incident - UFOMG! This episode of FOIA Friday is a bit different. 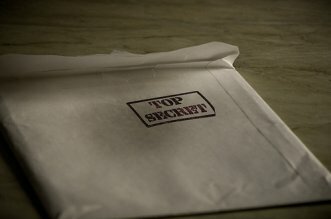 Instead of posting an article from the FOIA files, we’re highlighting a recent article and video by The War Zone which contains audio they received via an FOIA request about the October 25, 2017 UFO incident. 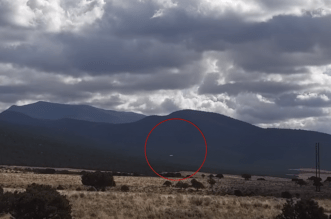 What, exactly, is the October 25, 2017 UFO Incident? Well, you might as well go ahead and take your socks off, because this will knock them off anyway. At around 4:00 pm on October 25, 2017 rough 37,000 feet above the Oregon/California border multiple pilots reported seeing an unmarked aircraft flying along their routes. The incident was confirmed by the FAA and NORAD (North American Aerospace Command) and F-15s were scrambled to intercept, but were unable to locate it. Next article UFO Sighting in Quakertown, Pennsylvania on 2017-11-23 18:44:00 – Ufo the size of 3 football fields hovering over my neighborhood. my boyfriend recorded the video but i was in my house still before i came out.